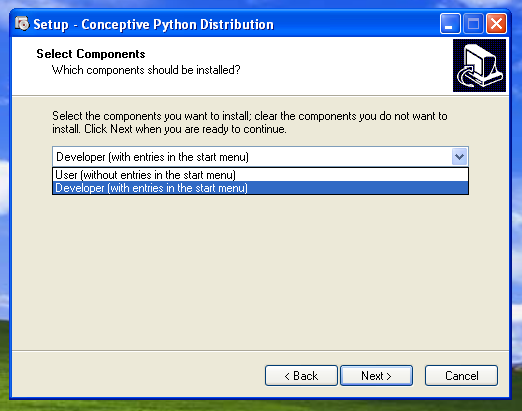 When working on Windows, the easiest way to get up and running is through the Conceptive Python SDK. This SDK is a Python distribution targeted at the development and deployment of QT based applications. This all in one installation of Camelot with all its dependencies is available in the shop. When installing Camelot from source, you need to make sure all dependencies are installed and available in your PYTHONPATH. You need to make sure Camelot and all its dependencies are in the PYTHONPATH before you start using it. None of them should raise an ImportError. © Copyright 2009 - 2013, Conceptive Engineering. Created using Sphinx 1.1.3.